I named this little guy Eeek the Snake. My logic was that most people see snakes and squeak ” Eeek a snake!” So I thought I would name him that so he thought everyone was just happy to see him. Eeek has lived with us a little over a year. 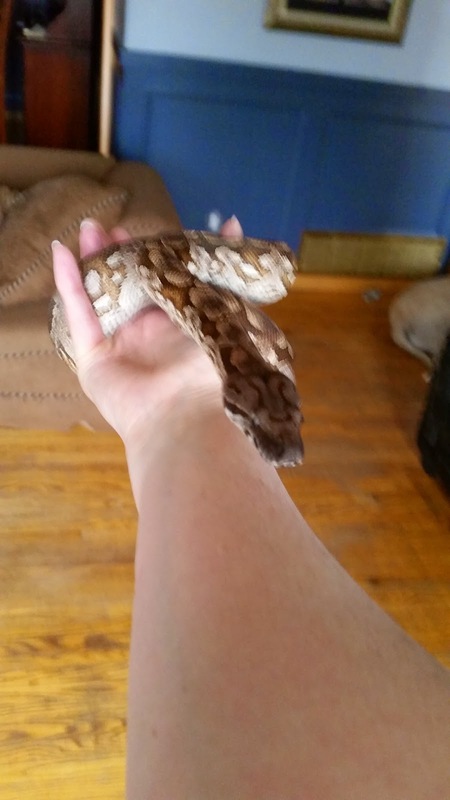 He is a Dumerils Boa. He is a stubborn snake who doesn’t like to eat. He and I have many battles over it. He is growing but I don’t think he will ever be a large snake. He is a sweet and mellow boy.